A Hawaii vacation is worthy of any bucket list, and once you’re here it won’t take long to fall in love with our islands. As the end of your time draws close, you’ll no doubt find yourself plotting ways to stay in your Hawaiian luxury vacation rental just a little longer since no one is ever quite ready to leave Hawaii behind. Fortunately you can always take a piece of paradise home with you. 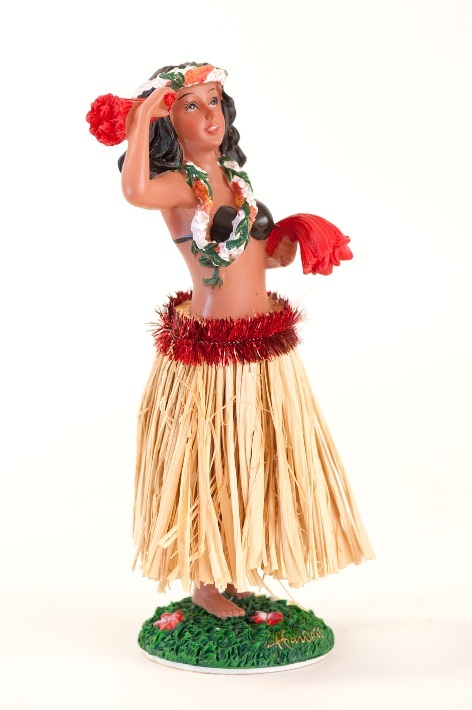 From luxury items to snacks and good old kitsch, today’s post highlights the best of Hawaiian souvenirs. Our gorgeous vacation rental properties in Hawaii aren’t the state’s only luxury! Considered by some to be the most “Hawaiian” of all crafts made by local artisans, the Lei Pupu O’Niihau remains one of Hawaii’s most exclusive souvenirs. Leis are as synonymous with Hawaii as Aloha and the Shaka, but what makes the Lei Pupu O’Niihau so special is that this craft is protected by law. Unless 100% of its shells come from the “Forbidden Island” of Niihua, it’s a fake. Hawaii’s House of Representatives passed legislation in 2004 forbidding the use of the name Niihua in shell leis, jewellery and other craft items which don’t meet this criterion in an effort to protect the integrity of one of the remaining sources of income for the fewer than 200 people still living on Niihua. Leis made from Niihua shells can range in price from $100 – $20,000 or more so it’s important to do your research prior to making a purchase. Many sellers provide a certificate of authenticity which can help set your mind at ease. You can learn more about the unique island of Niihua here. 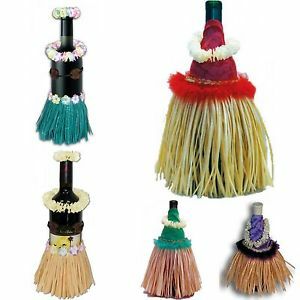 Wine lovers staying at our luxury vacation rental properties in Hawaii would be remiss to leave our islands without stocking up on what is perhaps one of Hawaii’s least recognized treasures, vino! There are only three wineries in the entire state, and if you are staying on Maui, Oahu, or the Big Island, we highly recommend you stop in to see our winemakers in action. Hawaii’s volcanic soil lends a unique flavor to the wines produced in the region. Primarily made with locally grown Symphony grapes, and blended with tropical fruits like guava and pineapple, Hawaiian wines have a distinct flavor that can only come from a true passion for the art of winemaking, and will surely take you back to our white sandy beaches and lush tropical landscape with each sip. The Koa tree is endemic to Hawaii making anything made from this beautiful wood an authentically Hawaiian craft. The fact that the Koa doesn’t grow anywhere else in the world only serves to contribute to its appeal. The Koa has a rich history in our islands. Growing to heights of up to 100 feet, Hawaii’s ancient settlers would carve the insides out to make outrigger canoes. Koa wood was considered so valuable that as part of the ancient Kapu system, it could only be owned by royalty or the upper class. Koa carvings are both beautiful AND environmentally-friendly. Hawaiian law prohibits the cutting of live Koa trees so any carvings or crafts you find will have been made from dead or decaying trees. Koa can range in color from a light golden tone to rich orange, red, and even chocolate brown. 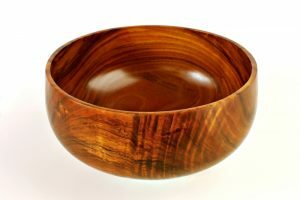 Bowls, sculptures and jewellery are just some of the crafts you’ll find made of Hawaiian Koa. Part of your memorable stay in one of our luxury vacation rental homes in Hawaii will no doubt include waking up each morning to enjoy a cup of our famous Kona coffee. Similar to the way Hawaii’s volcanic soil contributes to the unique wines produced in the area, the coffee beans receive a similar benefit. Kona coffee has a reputation for being one of the best in the world which is why it often comes with a hefty price tag. Die-hard coffee aficionados around the globe would agree that Kona coffee’s distinctive full-bodied flavor is worth every penny! 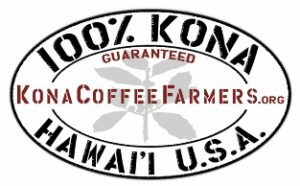 You may come across brands labelled “Kona Style” or “Kona Blend”, but when shopping for true Kona coffee, look for those which say “100% Kona Coffee” as these are certified as genuine. In order to make this claim, all of the beans must have been grown in North and South Kona on Hawaii Island. The first macadamia trees were planted in here in the 1800’s, and since the start of commercial production in 1921, macadamia nuts from Hawaii have become a favorite around the world. A single tree can produce 65 lbs. of nuts each year, and there are hundreds of macadamia nut farms in the state. 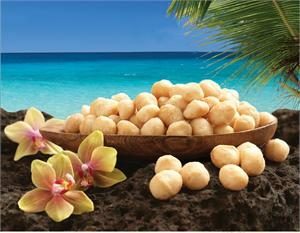 One of the healthier nuts available, macadamias are not only delicious, they’re also an excellent source of protein, vitamin E, A, iron, riboflavin, thiamine and a host of other minerals and antioxidants. Early cultivation was limited to shelling, roasting and salting, but today you’ll find them flavored, candied and covered in chocolate! Now what would a trip to Hawaii be without picking up one of our famous Aloha shirts? Love them or hate them, these bold bright symbols of Hawaii are here to stay. 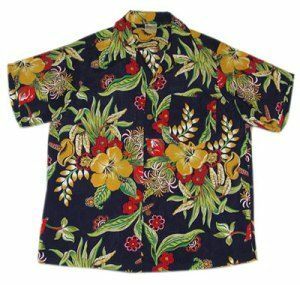 First produced in 1930, the Hawaiian Aloha shirt quickly became a “must-have” part of pop culture as locals and tourists quickly fell in love with the design and prints. These shirts are not only one of Hawaii’s most popular souvenirs; they are also the state’s primary textile export. The last and perhaps best Hawaiian souvenir here is less tangible than the others above, however its value far exceeds anything else on this list; it is the spirit of Aloha. As any native Hawaiian will tell you, Aloha is more than a greeting. It is a way of life. We live it, breathe it, and we treat our visitors to true Aloha spirit every chance we get. Translated, Aloha means “Presence of Breath” or Breath of Life”. To live the spirit of Aloha means to express love, compassion, respect and kindness in all you do, and to everyone you encounter. This isn’t just reserved for interactions between people – true Aloha spirit extends to nature, wildlife and all that surrounds us. You will feel it the minute you step off the plane and through every interaction you have with the locals. We encourage you to soak this in and to take it with you so that you can return home to spread Aloha within your own communities. We hope you enjoy your time here in Hawaii and if you’re looking for information on where to shop during your stay, our concierge is on-hand and available to help. We wish you an Aloha filled day!